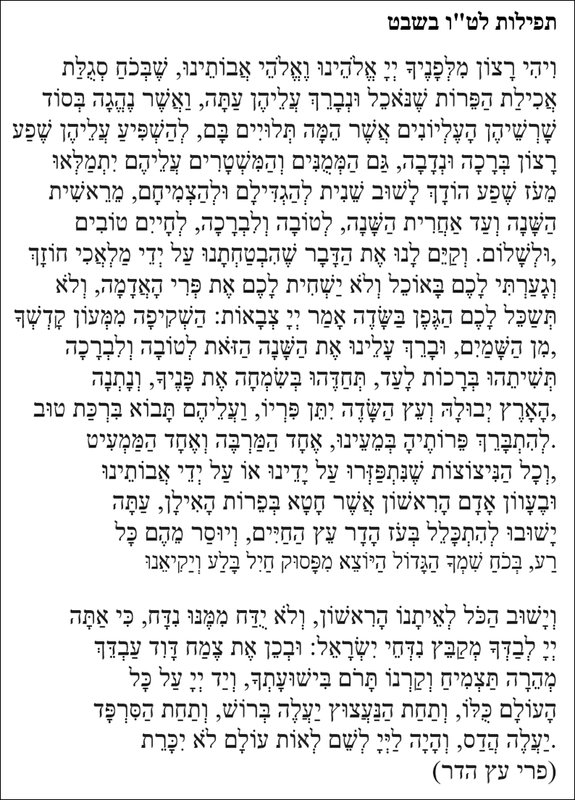 This is a wonderful prayer to recite on Tu Be’Shevat [the new year of the trees] prior to the eating of the fruits. 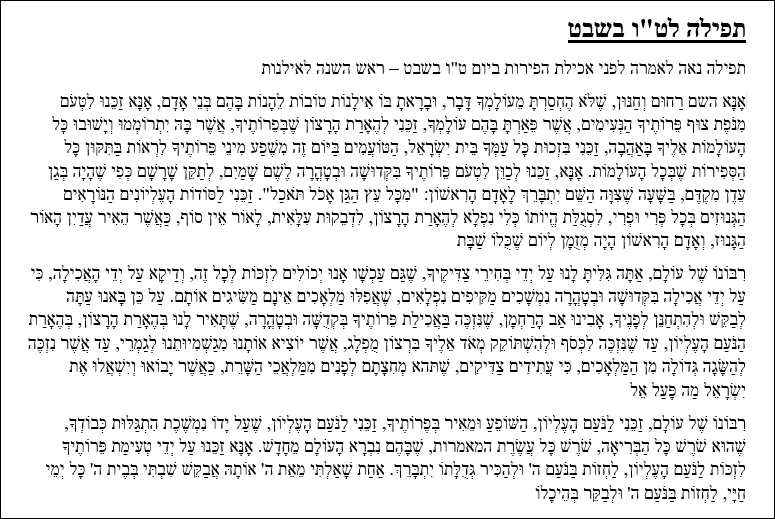 Note: All the tefilot in this section contain Hashem's name and are to be treated with the utmost caution and respect. If you choose to print any of the tefilot for one time use, please be sure to place the tefilah in genizah and not chas ve'shalom discard in a trash can.